At the UN climate summit in Copenhagen, 192 governments are aiming for a new global agreement to constrain greenhouse gas emissions and curb human-induced climate change. But some commentators are unconvinced that rising greenhouse gas emissions are the cause of modern-day warming. Either they say the world is not actually getting warmer or that a new treaty would hurt economic growth and well-being. So what are their arguments, and how are they countered by scientists who assert that greenhouse gases, produced by human activity, are the cause of modern-day climate change? 1. 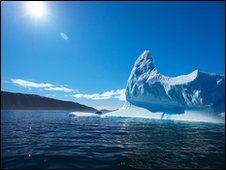 IS TEMPERATURE OF EARTH GETTING WARMER? Instruments show there has been some warming of the Earth's surface since 1979, but the actual value is subject to large errors. 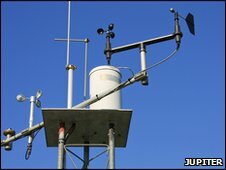 Most long-term data comes from surface weather stations. Many of these are in urban centres which have been expanding and using more energy. When these stations observe a temperature rise, they are simply measuring the "urban heat island effect". In addition, coverage is patchy, with some regions of the world almost devoid of instruments. Data going back further than a century or two is derived from "proxy" indicators such as tree-rings and stalactites which, again, are subject to large errors. Warming is unequivocal. 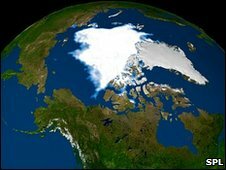 Ocean measurements, decreases in snow cover, reductions in Arctic sea ice, longer growing seasons, balloon measurements, boreholes and satellites all show results consistent with records from surface weather stations. The urban heat island effect is real but small; and it has been studied and corrected for. Analyses by Nasa , for example, use only rural stations to calculate trends. Research has shown that if you analyse long-term global temperature rise for windy days and calm days separately, there is no difference. If the urban heat island effect were large, you would expect to see more warming on calm days when more of the heat stays in the city. Furthermore, the pattern of warming globally doesn't resemble the pattern of urbanisation, with the greatest warming seen in the Arctic and northern high latitudes. Globally, there is a warming trend of about 0.8C since 1900, more than half of which has occurred since 1979. Since 1998 - more than a decade - the record, as determined by observations from satellites and balloon radiosondes, shows no discernible warming. The year 1998 was exceptionally warm because of a strong El Nino event, while 2008 was unusually cold because of La Nina conditions. Variability from year to year is expected, and picking a specific warm year to start an analysis (or a cold one to end with) is "cherry-picking". If you start in 1997 or 1999 you will see a sharp rise. Furthermore, while the UK Met Office regards 1998 as the hottest year yet, Nasa thinks it was 2005 (they use the same data but interpret it differently). According to the Met Office, the 10 warmest years in the modern record have all occurred since 1997. The beginning of the last Millennium saw a "Medieval Warm Period" when temperatures, certainly in Europe, were higher than they are now. Grapes grew in northern England. Ice-bound mountain passes opened in the Alps. The Arctic was warmer in the 1930s than it is today. There have been many periods in Earth history that were warmer than today - for example, the last interglacial (125,000 years ago) or the Pliocene (three million years ago). Those variations were caused by solar forcing, the Earth's orbital wobbles or continental configurations; but none of those factors is significant today compared with greenhouse warming. Evidence for a Medieval Warm Period outside Europe is patchy at best, and is often not contemporary with the warmth in Europe. As the US National Oceanographic and Atmospheric Administration (Noaa) puts it: "The idea of a global or hemispheric Medieval Warm Period that was warmer than today has turned out to be incorrect." Additionally, although the Arctic was warmer in the 1930s than in the following few decades, it is now warmer still. One recent analysis showed it is warmer now than at any time in the last 2,000 years. Computer models are the main way of projecting future climate change. But despite decades of development they are unable to model all the processes involved; for example, the influence of clouds, the distribution of water vapour, the impact of warm seawater on ice-shelves and the response of plants to changes in water supply. Climate models follow the old maxim of "you put garbage in, you get garbage out". Models will never be perfect and they will never be able to forecast the future exactly. However, they are tested and validated against all sorts of data. Over the last 20 years they have become able to simulate more physical, chemical and biological processes, and work on smaller spatial scales. The 2007 IPCC report produced regional climate projections in detail that would have been impossible in its 2001 assessment. All of the robust results from modelling are backed up by theoretical science or observations. Computer models predict that the lower levels of the atmosphere, the troposphere, should be warming faster than the Earth's surface. Measurements show the opposite. So either the models are failing, or one set of measurements is flawed, or there are holes in our understanding of the science. 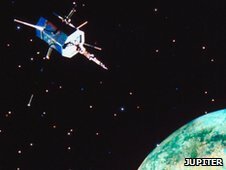 Interpretation of the satellite data has not always been straightforward - but it does not show the opposite of what computer models predict. Two separate analyses show consistent warming, one faster than the surface and one slightly less fast. 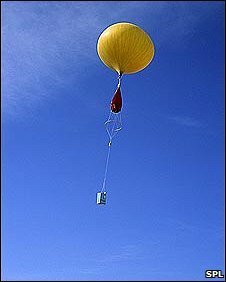 Information from balloons has its own problems but the IPCC concluded in 2007: "For the period since 1958, overall global and tropical tropospheric warming estimated from radiosondes has slightly exceeded surface warming". Earth history shows climate has regularly responded to cyclical changes in the Sun's energy output. Any warming we see can be attributed mainly to variations in the Sun's magnetic field and solar wind. Solar variations do affect climate, but they are not the only factor. As there has been no positive trend in any solar index since the 1960s (and a negative trend more recently), solar forcing cannot be responsible for the recent temperature trends. The difference between the solar minimum and solar maximum over the 11-year solar cycle is 10 times smaller than the effect of greenhouse gases over the same interval. Ice-cores dating back nearly one million years show a pattern of temperature and CO2 rise at roughly 100,000-year intervals. But the CO2 rise has always come after the temperature rise, not before, presumably as warmer temperatures have liberated the gas from oceans. This is largely true, but largely irrelevant. Ancient ice-cores do show CO2 rising after temperature by a few hundred years - a timescale associated with the ocean response to atmospheric changes mainly driven by wobbles in the Earth's orbit. However, this time, CO2 is leading temperature. Furthermore, the situation today is dramatically different. 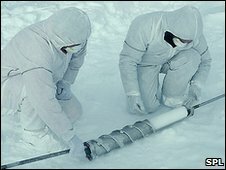 The extra CO2 in the atmosphere (35% increase over pre-industrial levels) is from man-made emissions, and levels are higher than have been seen in 650,000 years of ice-core records. They may in fact be higher than at any time in the last three million years. Before the era of satellite observation began in the 1970s, measurements were ad-hoc and haphazard. Hurricanes would be reported only if they hit land or shipping. The extent of Arctic ice was measured only during expeditions. The satellite record for these phenomena is too short to justify claims that hurricanes are becoming stronger or more frequent, or that there is anything exceptional about the apparent shrinkage in Arctic ice up to 2007. The Arctic Climate Impact Assessment project notes that systematic collection of data in parts of the Arctic began in the late 18th Century. The US National Hurricane Center notes that "organised reconnaissance" for Atlantic storms began in 1944. So although historical data is not as complete as one might like, conclusions can still be drawn from it. And the IPCC does not claim that global warming will make hurricanes more frequent - its 2007 report says that if anything, they are likely to become less frequent, but more intense. 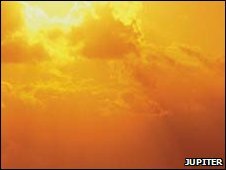 The natural greenhouse effect keeps the Earth's surface about 33C warmer than it would otherwise be. 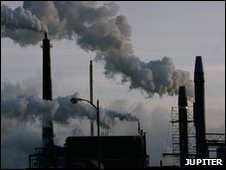 Water vapour is the most important greenhouse gas, accounting for about 98% of all warming. So changes in carbon dioxide or methane concentrations would have a relatively small impact. Water vapour concentrations are rising, but this does not necessarily increase warming - it depends how the water vapour is distributed. 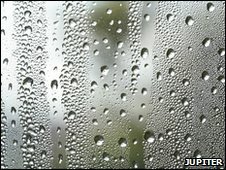 The statement that water vapour is "98% of the greenhouse effect" is simply false. In fact, it does about 50% of the work; clouds add another 25%, with CO2 and the other greenhouse gases contributing the remaining quarter. Water vapour concentrations are increasing in response to rising temperatures, and there is evidence that this is adding to warming, for example in Europe. The fact that water vapour is a feedback is included in all climate models. 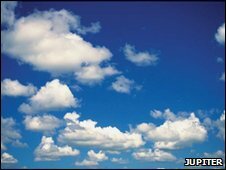 The Kyoto Protocol has not reduced emissions of greenhouse gases noticeably. The targets were too low, applied only to certain countries, and have been rendered meaningless by loopholes. Many governments that enthuse about the treaty and want a successor are not going to meet the reduction targets that they signed up to in Kyoto. Even if it is real, man-made climate change is just one problem among many facing the world's rich and poor alike. Governments and societies should respond proportionately, not pretend that climate is a special case. Poorer countries should not be forced to constrain their emissions and therefore their economic growth, as they will be under a Copenhagen treaty. Some economists believe that a warmer climate would, on balance, improve lives. Arguments over the Kyoto Protocol are outside the realms of science, although it certainly has not reduced greenhouse gas emissions as far or as fast as the IPCC indicates is necessary. The latest IPCC Working Group 2 report suggest that the impact of man-made climate change will on balance be harmful, in particular to the poorer countries of the tropics, although colder regions may see benefits such as increased crop yields. Investment in energy efficiency, new energy technologies and renewables are likely to benefit the developing world. A Copenhagen treaty would not force emission constraints on the world's poorest countries - in fact, it will funnel money to them for technology and climate protection, helping clean growth. More affluent developing countries - including China - will have to constrain their emissions growth but they agreed to this at the 2007 Bali summit.